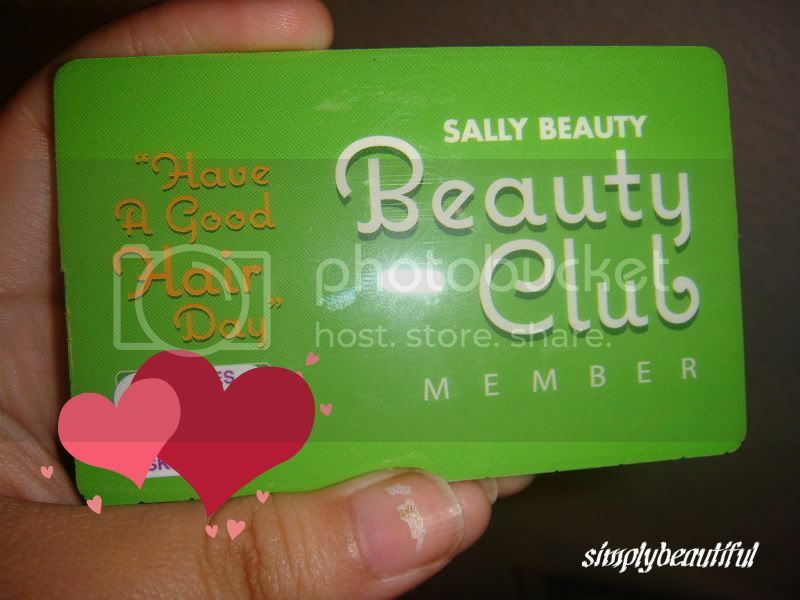 Welcome to the Beauty Club!! It was pretty easy to get it, as I thought I would have needed some credentials or something in that nature. I just asked the lady, signed up, paid my $5 membership fee, and I get discounts for one year. How awesome is that!! They also have another Professional Discount Card for licensed cosmetologists. I assume the discounts apply to most items in the store, and most will be about 10-20% off retail. I know it's only a few cents off, but hey, that's great when I'm trying to save at the same time, or have more money to buy other things. Even though I spent $5 for the card, I already got back my money since I bought some polishes and a clipper blade for the husband. I think it's an awesome deal for anyone who's wants to save, but get good products too! Products offered at Sally's Beauty Supply Store: ~ Professional Salon items: Hair, Nails, Face, Body ~ Lashes: mainly MOD or Ardell Lashes ~ Nail Polishes: China Glaze, Fingerpaints, Orly, etc. "Save on Every Product, Every Day!" Hi Mary! Thanks for the nice comment! :D Congrats on your card! Hehehehee. Hi! I would like to open beauty salon. Does anybody have an experience in this business? There are too many options in different salon equipment. Could anybody give me an advise? What store is more reliable to buy Crystal microdermabrasion machine and Microdermabrasion machine parts. I'm choosing between Advance-Esthetic and Spa&Equipment websites.